359. Primitive drilling apparatus. 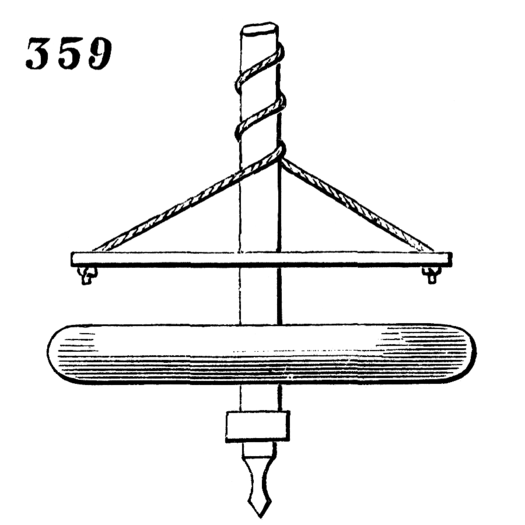 Being once set in motion, it is kept going by hand, by alternately pressing down and relieving the transverse bar to which the bands are attached, causing the bands to wind upon the spindle alternately in opposite directions, while the heavy disk or fly-wheel gives a steady momentum to the drill-spindle in its rotary motion.